I purchased Junior in February 2013 as a green 6 year old Clydie cross, full of good looks and raw talent. During that first year he was a scary ride at times being the best part of 17hh and a big ball of hot, nervous energy, he could be a handful. However we progressed to having brakes, to getting into a dressage arena, going to pony club, jumping around 60cm courses and placing at Canberra Horse Trials in the Newcomers Class that year. 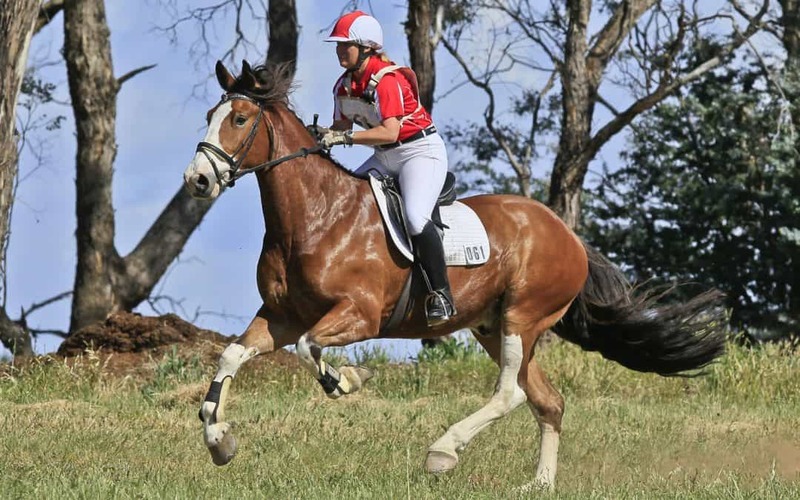 Just one week prior to our second horse trials competition, with the world at our feet, Junior showed swelling in a hind leg just above his fetlock – I assumed it wasn’t significant, gave him a couple of days off, and started riding him again, only for the swelling to reappear. There was no lameness just this swelling, that wasn’t even major, but noticeable. On advice from a few people I was convinced to get this leg scanned, for fear of a tendon injury. So off to the vets we go. I went to a very reputable vet, and after a lot of scanning Junior was diagnosed with a lesion in the suspensory ligament. So with this news, Junior was sentenced to three months locked in a box, and then three months in the paddock prior to commencing a return to work program. This progressed beautifully, and by November 2014, he was in fairly solid work again. However in March 2015, the swelling returned, so back off to the vets we go. This time the diagnosis was a slight strain to the tendon and another 6 months out before recommencing the return to work program for a second time. Still no lameness whatsoever! But within another 6 months Junior was lame in a front leg, mild but definitely there. This was the first time he was ever lame. Back to the vets for more scans (this time the front leg), only to learn that the foot balance was terrible, and he most likely had strained a collateral ligament due to this. I was advised to get an experienced farrier and after much begging Alan Woodley took him on, and over several shoeing’s, his hoof balance had improved but he was still slightly lame. I became resigned to the fact that this lameness would possibly always be there and felt like giving up. Instead purchased Ballista (whose story will feature in a future blog) to keep my horsey dream alive. It was only when Ballista damaged her hock a month into my ownership of her that Victoria came into Junior’s life (and mine). I told Victoria of Juniors story, and we decided that whilst treating Ballista, I may as well treat Junior as well, one last ditch effort – at least the $$ was about a quarter of what the vets wanted. Victoria explains “In the absence of any true diagnosis, I decided to prescribe herbs to strengthen Junior’s tendons, ligaments and joints. The big problem with spelling horses with injuries is that mostly they are not given the nutritional building blocks they need to heal properly. In addition they need herbs (their medicine of choice) which stimulate the body to heal better and more completely than if left without support. So that is why I made this choice. Early in June 2016, Junior commenced his customised VF Natural Diet and herbal prescription, which was given for a full blood cycle (12 weeks). By end July he seemed sound – I was super happy but still cautious and he was in full work. October 2016 – to my horror the hind leg has swelled up again, just like it had in early 2014, and again in March 2015. How could this be? Instant thoughts were the tendon had again flared up, it remained swollen, but no lameness. But then the revelation, and I put this down to his VF diet – his body must have started to heal the problem, which was finally revealed to be in his hoof, not the tendon. 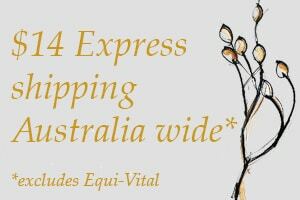 Within a couple of days this time, he couldn’t bear weight on this foot – it’s screaming “abscess” at me and immediately Victoria sends her blood cleansing formula, with instructions that he has to be treated with this for another full blood cycle. I soaked and poulticed as per Victoria’s instructions (Epsom Salts soak, then poultice with Castor Oil and Slippery Elm Bark Powder). A few days later, my farrier Alan confirmed an abscess. Interestingly the swelling was still evident and only the tiniest trickle of clear liquid appeared from the coronet band and from the sole and the shoe was put back on. Unfortunately this was one hell of a stubborn infection, no doubt having dwelled in Junior’s mighty hoof since early 2014. Once all the infection was released from the hoof, the swelling disappeared. See the huge extent of abscess line around Junior’s hoof in the photo below. Victoria comments further “The important thing to learn from this case history is that abscesses can remain inactive for very long periods of time, producing mystery swellings and often lameness. This is a fact that my two farriers over the past 20 years both agree with. I have also treated horses with blood cleansing herbs to resolve this problem successfully on a number of occasions. Unfortunately I didn’t pick that this could have been the case with Junior. What is fortunate however is that herbs are available to cleanse the blood of old infections like this, they are called alteratives or blood cleansers and include herbs such as Garlic, Echinacea, Red Clover and Rosemary. The infection may resolve partially or fully through the blood but mostly with hooves, needs to resolve to the exterior. 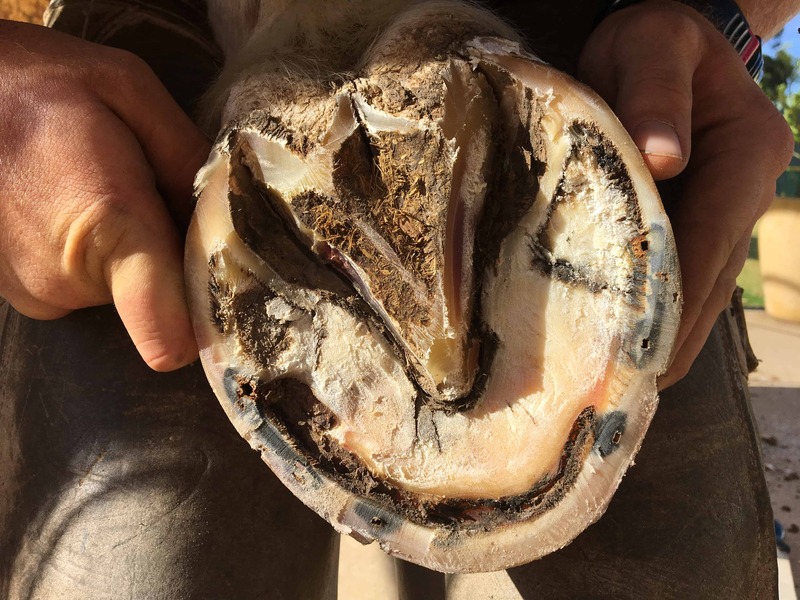 As Jodi quite rightly observes, it was his VF natural diet with adequate levels of Silica in particular which started to drive this infection out of the blood to the outside of the hoof.